Providing benefits to producers of gold, such as prepaid forward contracts for gold purchase with fixed prices and sometimes with discounts, finances the producers and gives the producer the incentives to sell the gold to such gold buyers. Investment into small scale mining companies may bring equivalent investment such as those with larger mining companies. Providing equipment, excavators, bulldozers, trucks, containers, hydraulic hammers, winches, all that brings benefits to mining companies who have the gold bearing ores, the administration in place and proper technology to deliver the results. That is often heard sentence from inquiries we get, as so many "gold buyers" are sitting out there, not benefiting anybody but themselves, and thinking that somebody is going to bring them cheap gold without any payments in advance, "CIF", so that they may get quickly rich. Just no party that is in somewhat serious gold business, is not sending gold to such passive but "smart buyers". Those "gold buyers" are parties wanting to receive gold without any efforts, on "CIF" basis, and those are the gold buyers that sit at home while gold comes to them. Those are "smart" yet lazy buyers. And they almost never get the gold delivered. They are "smart" as they have made an agreement with the local gold refinery to purchase all the gold delivered. Their smart idea is once they have got the money from refinery to pay the gold sellers. That is why they must be sitting home, waiting for gold to come, as if there is no money in the bank account, the gold buyer must sit and hope for the business without capital. As the true and active gold buyers are those who travel and meet companies, and put some efforts to generate new gold trade transactions. Those who are somewhat in serious gold business and are handling like 500-1000 grams monthly, located in Europe, US, Hong Kong, Japan, they all sell to gold refineries and not to anonymous "home sitting" gold buyers. Gold producing companies are selling to trusted parties, or to gold refineries as they know each other. Finally, gold refineries are available just in every country. For example, there are many who claim that gold from Uganda is cheap, yet majority of such offers are fake. And in Uganda there is a well known gold refinery http://www.agr-afr.com which pays just 100% of the market price less refining fees. So, one cannot say that there is problem in selling gold in Uganda. No problem in Kenya or Tanzania as well. These facts are not changing through the time. Gold refineries are best paying parties for gold and no lazy buyer can enter the market without providing some benefits to gold sellers and gold producers. Mining sites in Africa are selling to local gold brokers, who in turn sell gold to dealers, who in turn sell it to gold refineries. Just be sure that all the gold ends up sooner or later in a gold refinery. Local traders, brokers and dealers are making most of the profit margin in gold trade, for the reason that they put so much effort in work. Just like in any business, the more effort you put in gold trade, the more profit you may obtain. Local dealers who pay best prices, they don't go to bush and mining sites, that is why they are paying best. Refineries are also not traveling to mining sites to purchase cheap gold. And now comes a Spanish "buyer" or London buyer or Dubai based gold buyer, who proudly uses the terminology such as CIF and while sitting in their chair in front of a computer, they hope that somebody will ship the gold to them without paying anything in advance. Everywhere where is gold, there is market for gold. That is a fact. In every mining country, there is a good market for gold, with good prices being paid locally. In Tanzania they pay 97% to 99% of the world gold market price. In Uganda 100% minus some fees, in Ghana 98% - 100%, in Mali 97-98%. Any gold quantity is basically locally sold to local dealers who pay well. So, to have a "buyer" is of no benefit for those who do have gold locally. Local brokers are giving benefits to local miners, and how is that? They come with cash to the mining site. That is a benefit for local miner. Miner need not go to towns and cities. They get the service, so the price of gold is lower, even 80% on mining sites in Tanzania. Once gold arrives to town, it is 97% - 99%, there is no gold that is for export and under 100% of the price. 4% royalties are paid on export. Think about that. Majority of prepaid forward contracts for gold purchase are with fixed pricing that is over the current gold prices, do you know? So there is huge market for gold to be bought by larger companies and to be delivered outside with premium prices. There are almost no risks in such transactions, due to all the administration and hedging setups. The gold is thus often sold with premium over the gold market price. But without the risks for the gold buyers. They have the fixed pricing and insurance, they know for which price they are going to buy the gold in future. And businessmen are changing their hardly earned cash, dollars and euros to gold. Those are parties willing to pay premiums 5% - 10% more for the gold, just to be fast in the purchase of gold. We have investors from UK, US and Europe, who benefited our company, and are benefiting themselves. They have provided us with the equipment, and they are delivered the less priced gold. That is how we have been financed and how we opened gold mining sites. Now these sites are workable, functional. New mining sites are to be activated. It is small scale mining, yet functional. One benefit for gold mining companies would be that the buyer of gol purchases the mining equipment. If there are functional mining sites, and there are gold bearing ores, then with simple prepaid forward contracts for gold purchase, gold buyers may make profits up to 30%. With the prepaid forward contract for gold purchase, the gold buyer may get 30% discounted gold. Such business is risky, just as any other business, yet the true fair exchange takes place when both parties are benefiting. The contracts may be for 6 months, 12 months, 24 months and 48 months. Gold prices may be fixed, so that the buyer is the one enjoying the benefits over up to 4 years. That is one of the ways on how to benefit the gold producers. By doing so, investor is receiving passive profits. While gold producer is working actively, and receives mining equipment. That is one of major methods to purchase gold in future. Even with the large mining companies the future gold price is almost always fixed to the premium price. It is fixed to the percentage of the future expectations. That way no party is to loose the investment. And in that manner we may produce gold, and after delivering it to refineries or dealers, exchange it for gold bullion and deliver such exchangable investment gold bars to the true gold buyer who has benefited our company. And we may repeat the same. That is the way how gold buyer may receive 30% in profits from gold sale. And that is how we can receive more mining equipment and provide better deliveries for future. 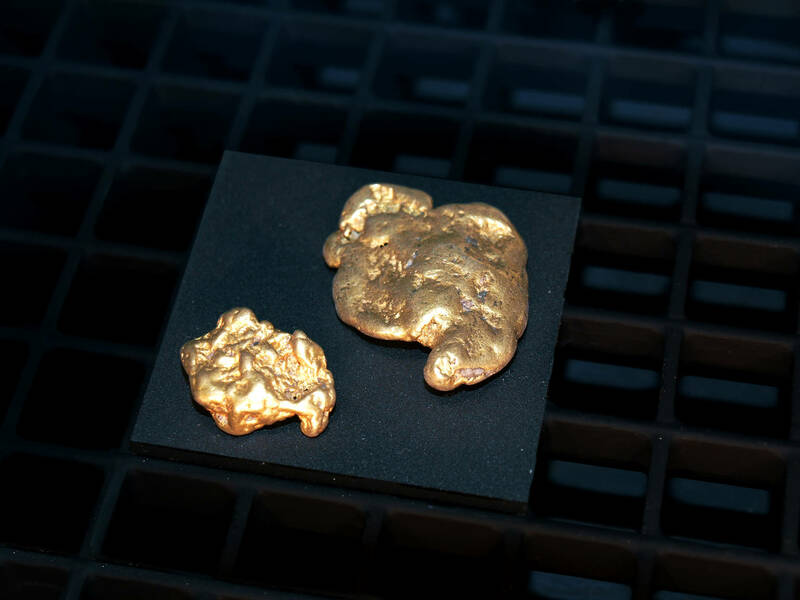 To receive more information on prepaid forward contracts for gold purchase, please contact https://www.startyourowngoldmine.com or send us your inquiry.